Back to Church Sunday, and more! On September 9th the church recalls the life and ministry of Constance and Her Companions - also known as the Martyrs of Memphis. This group of women devoted themselves to helping the sick and the suffering during a deadly yellow fever outbreak in Memphis, Tennessee. In doing so, they lost their lives to the very disease they were trying to help others recover from. When the epidemic was over, the surviving sisters were relocated to Sewanee. 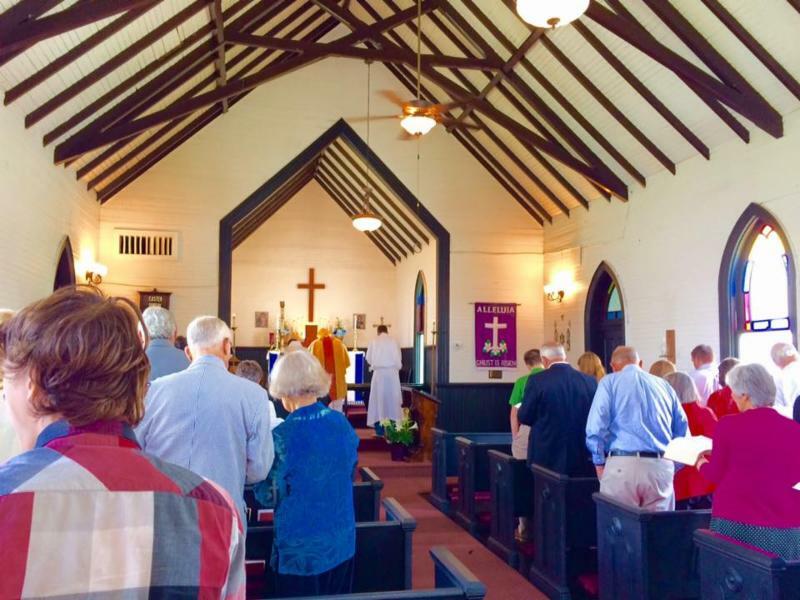 The Community of St. Mary in Sewanee continues to this day and is a blessing to our area. 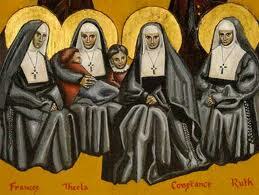 This Sunday at St. Agnes' we will bless and commemorate Constance and Her Companions during the 11:00 service. Fr. Jean will be our celebrant. Click here to read more about Constance and her companions, including the names of the Episcopal nuns and clergy who died during the yellow fever epidemic. Our very own Kay McKenzie is planning to make a pilgrimage to the Cathedral of St. Mary in Memphis this weekend to attend memorial services for Constance and Her Companions. Kay is involved in the Community of St. Mary in Sewanee, and so this trip has very special meaning to her personally. The photo you see here is a memorial to those who lost their lives in the yellow fever epidemic. 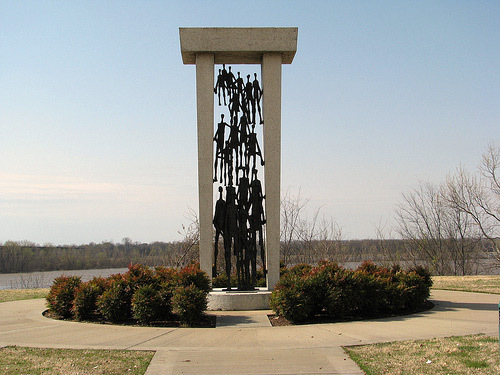 The monument is called "Martyrs and many souls rising to heaven". It's a beautiful and meaningful tribute that we, as Tennesseans and as Episcopalians, can appreciate. 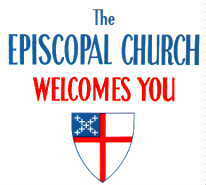 We sometimes forget that, until the 1980's, the Episcopal Diocese of Tennessee encompassed the entire state of Tennessee. 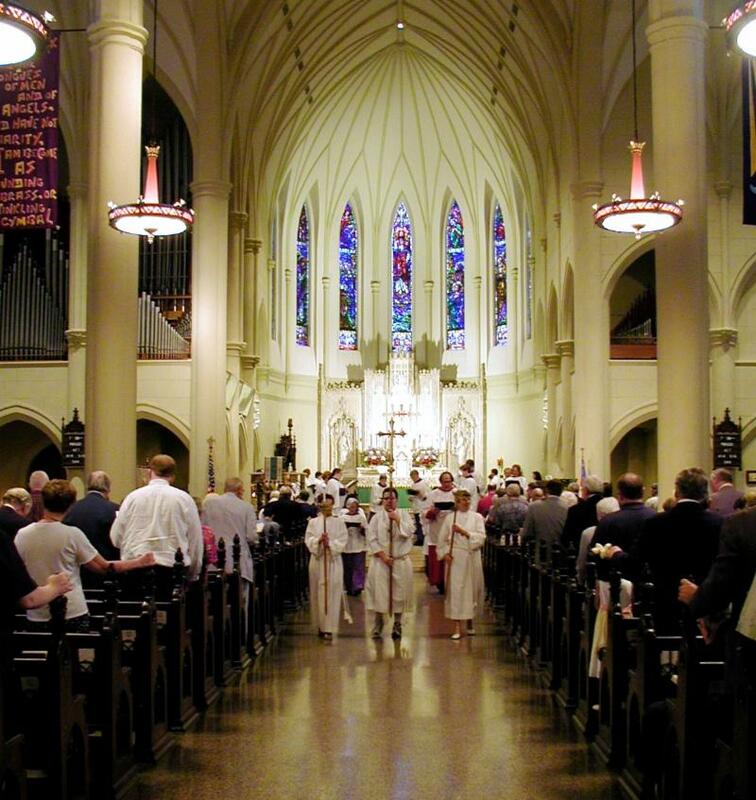 In that large span of time, St. Mary's Cathedral was the administrative base for the diocese. The business of St. Agnes' Mission in Cowan, believe or not, was managed entirely from St. Mary's. In the early days of this congregation, we did not have a mission council or a resident treasurer. Therefore, all of our bills and stipends were overseen and paid through the diocesan office inside the Memphis Cathedral. 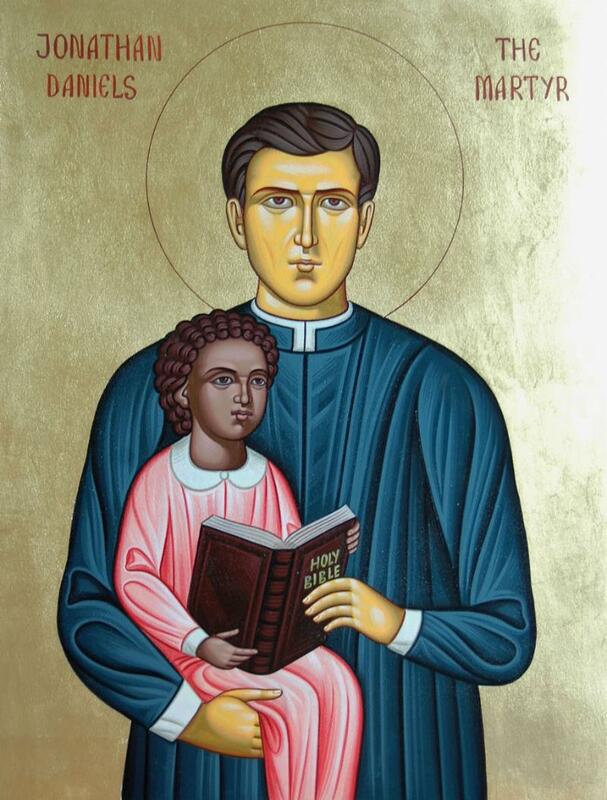 This practice continued until Mr. Robert Stuart Sloan became our local church treasurer and helped get St. Agnes' upgraded from a mission station to an organized mission. Sunday, September 16th, is National Back to Church Sunday . In the last issue of the Church Bell we discussed our efforts to increase the "curb appeal" of the church facilities. In this issue we will discuss proper and effective ways to welcome visitors and newcomers. St. Agnes' is unique in that we have openly addressed this simple topic several times over the last few years. In doing so, we remind ourselves of better ways and best practices to greet and welcome newcomers and visitors. First, let's identify and dispose of one of the worst practices that we may see among fellow churchgoers: the practice of "grilling". A church member may see a newcomer and approach them. Immediately, the church member starts asking questions, one right after another, such as: What's you name? Where are you from? Who are your kinfolk? Are you in school? Where do you work? And so on. Asking a sequence of personal questions is what we call "grilling". Even though there's no harm intended, grilling can be a real turnoff to a first-time visitor. Therefore, we try to maintain a no-grill policy. Seeing that grilling is a worst practice, let's mention and talk about a best practice. One of our best practices is this: "Tell my name first". When you see a newcomer or visitor in the church, one of the best ways to greet that person is to tell your name first . In most cases that person will state his or her name in return, and from that point you have made their acquaintance. It's much more comfortable at that point to show true hospitality to that individual. offer a Forward Day-by-Day devotional booklet, a visitors card, or something else that could be helpful to them. A proper welcome and true hospitality will open the door for that person to come back and worship with us again! Our primary objective with visitors is not merely to grow our numbers, but to bring people into the faith and fellowship of the Lord Jesus Christ. It's an honor to worship God together with people we are just meeting for the first time. Be on the lookout for newcomers and first-time visitors. And most important of all, invite a friend or neighbor to church! That's right! Fr. 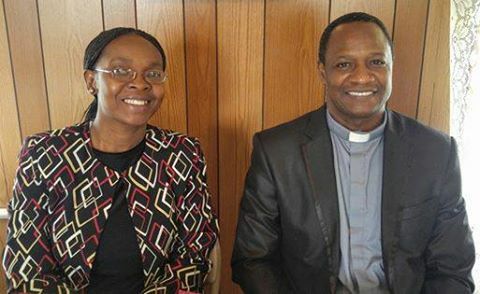 Martin and Funmi are coming down to visit St. Agnes on September 16th! In fact, they plan to come down on the 15th, do some visiting, and then stay overnight at The Franklin-Pearson House. 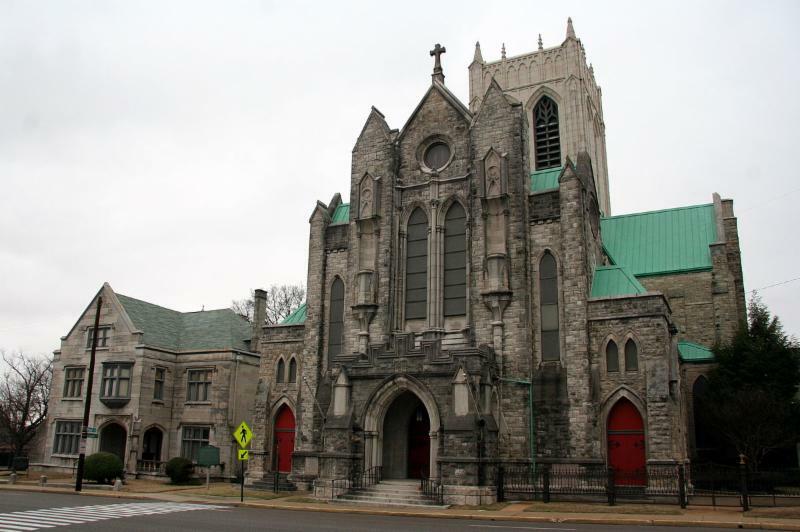 We look forward to seeing then and learning about their work and ministry at St. George's in Nashville. Be sure to invite a friend or neighbor to church on that day! To the People of St. Agnes' Church of Cowan, you are held in prayer this day before the Altar of our Lord in Trinity Cathedral Chapel by special intention at the Holy Eucharist by the Reverend Father Sinclair Ender. 'I will lift up the cup of salvation and call on the name of the Lord.' Psalm 116:11'"
Jerry McCaleb, Morris Robertson, George Wilkinson, Andy Hill, Kim Piper, Jacqueline Boyanton, Joe Money, Tom Tucker, Baby Elijah Green, John Kastrinos, Royana Stewart, Kurfees Boswell, Erma Little, Wynona Gibson, Tammy and Victoria Keese, Sue Hill, Celeste Simmons, Carter and Judy Smith, Fran Perry, Joe Ed Williams, Lamar Davis, Jimmy Moss, Bill Keller, Howard Gene Eslick, Alexis Mauldin, Benny and Betty Haney, Linda Milligan, Karen McCallie, and Subamma (our sponsored child).